Novice monks in Mingun, Myanmar. 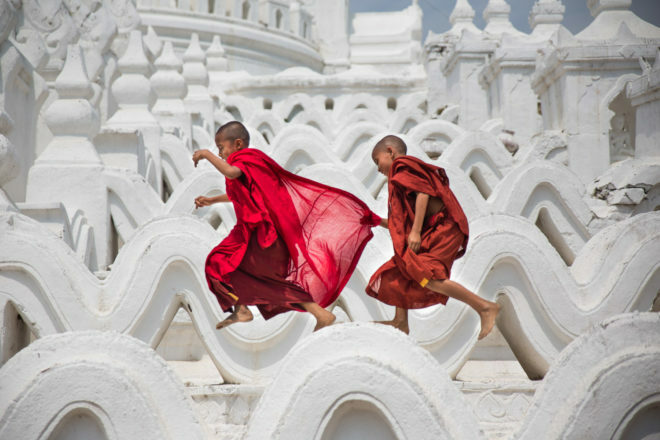 “These young novices were running around Hsinbyume Pagoda, in the ancient Burmese town of Mingun, during their break from studies. For this incredible photo, IT reader Scott Laird has won a Tamron SP 70-200mm F/2.8 lens (model number A009), valued at $1699. This lens is the apex of Tamron telephoto zooms in a compact package that’s the smallest in its class.